Lifting-type vacuum emulsifying machine introduces advanced foreign technology, has professional design according to the ointment paste products process such as cosmetics and paste products etc. 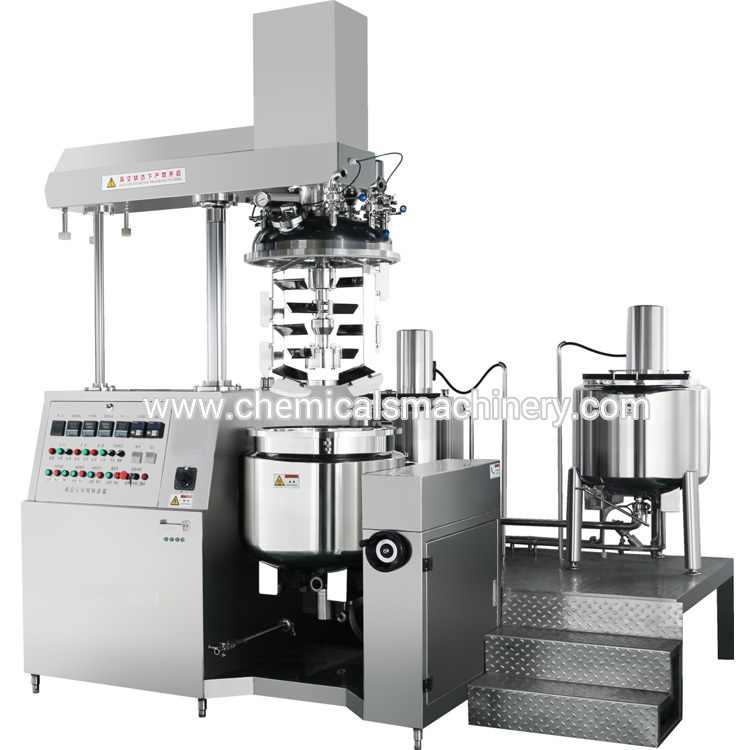 This machine is composed of pretreatment pot, vacuum emulsification stirring pot, vacuum pump, hydraulic lifting system, feeding system, electric control system, work platform etc. The vacuum emulsifier has the advantages of simple operation, stable performance, good homogeneity, high production efficiency, convenient cleaning, reasonable structure, it is one of the important parts of body lotion production line.